Prompt #17: Tell us what you’d do with three months in New Zealand – whether you’d base yourself in one place or travel constantly, what activities you’d make sure to do, and what you’d skip. Kakapo. You’ve heard it before & I will say it again. I want to see a kakapo, perhaps more than one kakapo – in person. They first captured my imagination when I read Last Chance to See by Douglas Adams and Mark Carwardine. The whole book was full of heart-breakingly beautiful descriptions of creatures that have been negatively affected by humans. Kakapo are a species of large (flightless) nocturnal parrots that are endemic to New Zealand. Currently there are only 126 kakapo (all named), even with a seemingly strong conservation effort. So for my hypothetical three months, I would love to volunteer for the Kakapo Recovery Program. The kakapo is a bird out of time. If you look one in its large, round, greeny-brown face, it has a look of serenely innocent incomprehension that makes you want to hug it & tell it everything will be all right, though you know that it probably will not be. 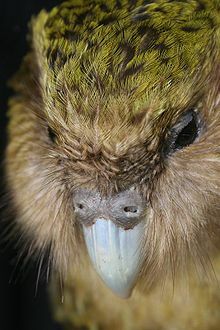 Every known kakapo in existence is named? That’s love.